Fr Robert, as Ecumenical Officer for the Bishops of England & Wales, yesterday attended a meeting at the Egyptian Coptic Centre at Stevenage, together with the Most Reverend Kevin Macdonald, Archbishop Emeritus of Southwark. The event was to highlight the plight of the historic Christian communities of the Middle East, many of which date back to the very beginning of the Church. 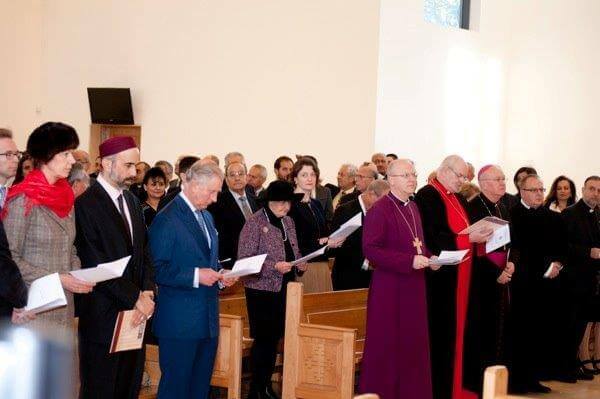 His Royal Highness the Prince of Wales honoured the occasion with his presence, and afterwards spoke about the persecution of Christians in this area of the world. "For 20 years I have tried to build bridges between Islam and Christianity to dispel ignorance and misunderstanding," said His Royal Highness. "The point though, surely, is that we have now reached a crisis where bridges are rapidly being deliberately destroyed by those with a vested interest in doing so. "This is achieved through intimidation, false accusation and organised persecution including to the Christian communities in the Middle East at the present time." The Coptic Church traces its origins back to the 1st Century when it was founded by the apostle St Mark.